Young Thai journalist Preechayan Piyachatiwongs (front left) poses for a photo at the F4F International Friendship Camp in Russia. In the run up to the 2018 FIFA World Cup, the Football for Friendship (F4F) programme was held from 8-15 June and brought together young football players aged 12 years from 211 countries and regions. 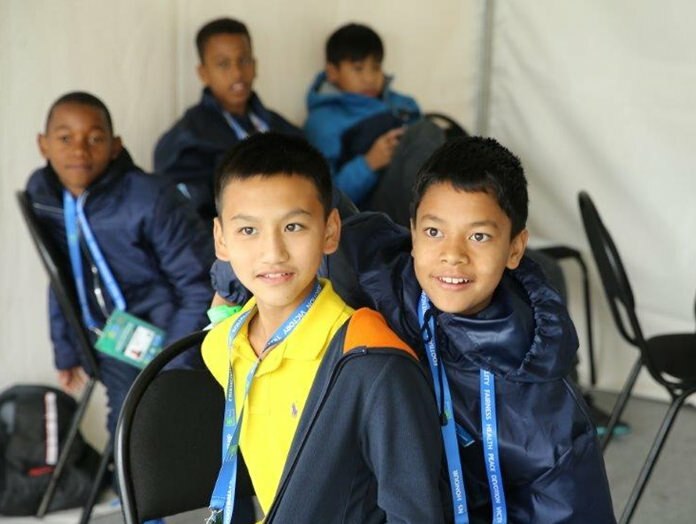 The young footballers were united in 32 International Teams of Friendship and were accompanied by young journalists who were selected to report on the Football for Friendship events. 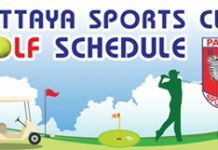 Thailand joined the programme for the first time this year and was represented by Ittipolchana Kaewsawad and Preechayan Piyacha­tiwongs, who were selected as the young footballer and young journalist respectively. Ittipolchana was a part of the “African Elephant” team, joining his 12 year old teammates from Puerto Rico, Andorra, Sao Tome E Principe, Swaziland and Nepal. Ittipolchana put on a stellar performance in his role as a defender by making critical tackles and restricting numerous goals, in the qualifying games. However, the African Elephant Team were just a few goals short of qualifying for the quarter- finals. It was no different for Preechayan who acted as the young journalist and covered all key events on equal terms with the adult reporters. The young ambassador from Bangkok also got a chance to learn from the well-known journalists representing the leading Russian sports media outlets, as a part of their workshops. The young journalists prepared news for renowned international media houses and published daily issues of the children’s Football for Friendship newspaper. The F4F program consisted of a three day International Friendship Camp in Moscow, for the young ambassadors. The training camp was followed by the final championship that was held on 12th June at the Sapsan Arena Stadium. The Championship which consisted of multi-cultural teams acted as an effective tool in promoting mutual respect, understanding and support among all the participating kids. 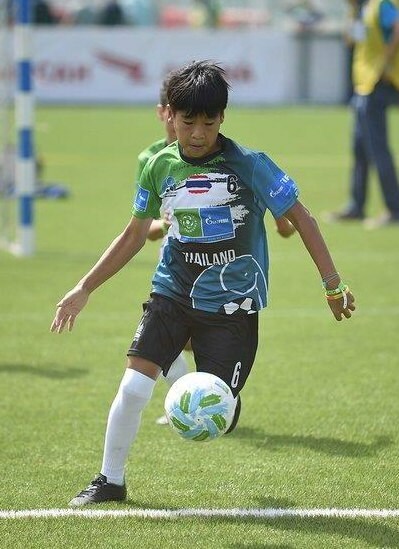 12-year old Ittipolchana Kaewsawad plays for the African Elephant team at the F4F Championship in Moscow, Russia.